To downtown Phoenix commuters, sealing off a dozen city blocks from Monroe to Jefferson streets and First Avenue to Fifth Street is a major inconvenience. To others, the area known as Super Bowl Central is the party of the year. And the party has officially begun. Super Bowl Central opened Wednesday and will stay open through the day of Super Bowl XLIV. 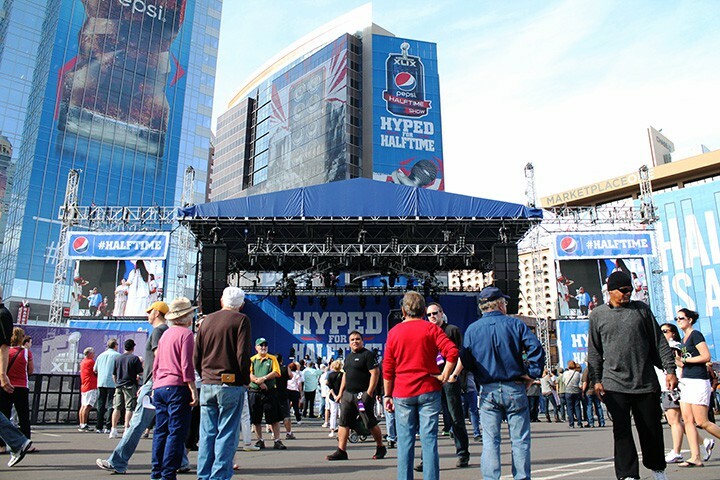 It serves as the focal entertainment hub of Super Bowl week, featuring live concerts, TV broadcasts, beer gardens, an autograph stage and games. Entry to the multi-block party and live entertainment is free, which could contribute to the host committee’s estimate of more than one million expected to attend. More than 20 free concerts and local and community programming in the day and national recording artists at night are scheduled. Parry said even commuters are covered during the event if they plan properly. The “Know Before You Go” section of azsuperbowl.com maps out plans for anyone who needs to go into the city during the week. 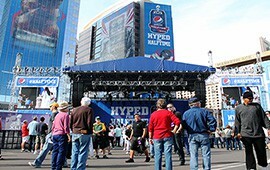 Football fans from all over the country poured into the massive outdoor event Wednesday. But, with the big game around the corner, Seattle and New England had the largest turnouts. And with them came the inevitable trash talking. “All we need is one point,” said Reese, a Seattle Seahawks fan. “It’s going to look a lot like last year,” said Andy Nelson, referencing the Seahawks blowout win over the Denver Broncos in Super Bowl XLVIII. Most fans are enjoying the festivities but one New England Patriots fan has put on his game face. Several artists will perform free concerts throughout the week.